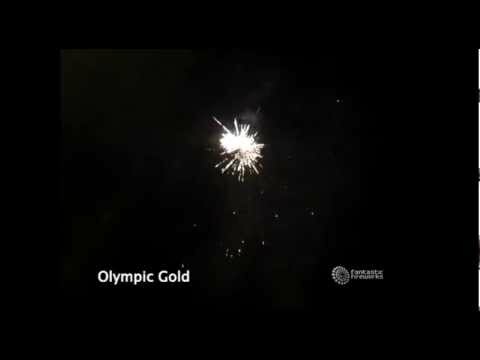 Olympic Gold is a 36 shot multishot gold-based firework which lasts around one minute - a very good value and extremely popular item in the Fantastic Fireworks range. It's one of the most eye-catching fireworks in our range with its huge gold bursts! The size of the bursts in this easily rival some of the more powerful 1.3G fireworks which contain more explosive content than this 1.4G firework.